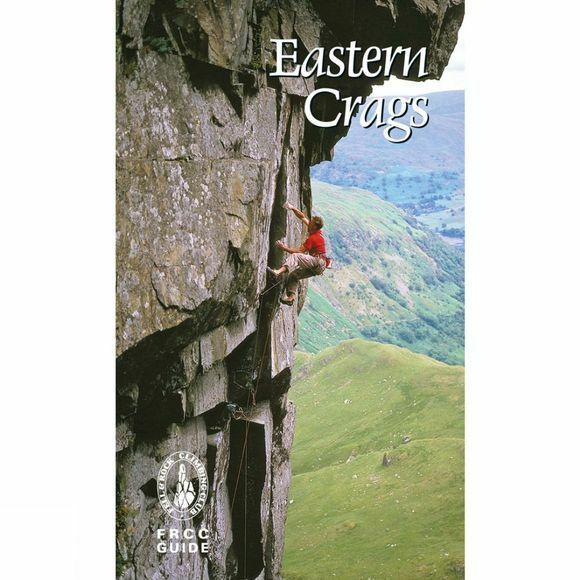 The Eastern Crags Guide from FRCC covers the Eastern Fells, a very large area from Thirlmere on their west, Carrock Fell in the north, south to Kendal and east to Patterdale and beyond to the Far Eastern Fells. These wild and rugged fells are home to some fantastic crags, a good proportion of which are relatively remote and hence secluded. Crags such as Castle Rock (there is currently a health warning on routes on the left half of the North Crag due to a large area of apparently unstable rock), Raven Crag (both of them, Thirlmere and Threshthwaite Cove), and Dove Crag are major venues giving some of the best known hard climbs in the Lake District; Thirlmere Eliminate, Fast and Furious, Totalitarian, Liquid Engineering – the list goes on…. and on. Luckily there are also plenty of steady routes for ordinary mortals, on valley crags such as Gouther Crag (Swindale) and the remoter crags such as sunny Eagle Crag in Grisedale and Deepdale’s brooding Scrubby Crag. Make the effort and you will be rewarded with memorable adventures which will linger in your memory for years.